After the install, Moveslink is running on your computer. It is started automatically every time you start your computer. When your device is connected to your computer Moveslink window opens automatically. 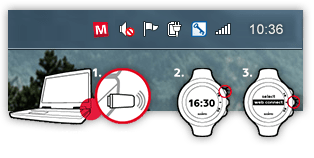 Now you can use Moveslink as often as you wish. 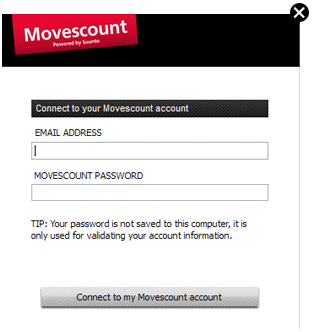 To sync your data between your device and your Movescount account, just follow the step 2.